What are some of the health benefits of drinking your fresh juices? All the same (can’t say all as it doesn’t have fibre) health benefits of eating 5lbs of fresh organic produce! We maintain a complete cold chain of 4 degrees celsius throughout our entire process to ensure the maximum amount of nutrients make it to you. We also never add any additives, preservatives, sugar or water, all of which dilute the nutritional content. Of course the benefits vary from juice to juice based on what produce is used. Our N1 Green juice is primarily a spinach/kale blent for total body support; immunity, energy, cellular support, and strong detoxifying properties. Our N2 Red juice is a beet juice to purify your blood, heart and liver. Our N3 Orange is actually a carrot juice filled with vitamin A to restore your eyes, hair and nails to their healthiest condition. Whatever your health goal, BUDA’s got something for you! Can you elaborate on how juicing may help people with arthritis and other joint related issues? Kale, beets and ginger have all been used to naturally treat inflammation for generations. Vitamin K in particular has been greatly studied and peer reviewed recently due to its long term affect on improving chronic inflammation (1). Our N1 Green juice contains 1500% RDI vitamin k. The good news is vitamin k has a greater affect on the body the longer it is in the system. So anything your body cannot immediately uptake is stored in your fat cells and continues to work for you. Our Buda turmeric shots are a powerful anti-inflammatory. Curcumin and curcuminaoids found in turmeric helps reduce pain, stiffness from inflammation associated to rheumatoid arthritis and osteoarthritis conditions. We add pepper to our shots to help ensure you increase your body’s absorption of the spice. How would a Buda Juice cleanse work? A BUDA cleanse is not just an opportunity to fill yourself with essential vitamins and nutrients, but it also gives your digestive system a much needed break. At 1050 calories per day with almost no fibre, our cleanse is also a fast. USC has recently published a study on the long term effects of fasting and cellular regeneration (2). Humans evolved as hunters and gathers for thousands of years before we began eating regular meals daily, with periods of feasting and fasting, our physiology reflects that. The effects of this cellular regeneration is primarily seen through delayed progression of tumours and cancers, as well as lessening the effects of aging. Fasting also shrinks the size of your stomach and therefore your appetite, meaning many people come to us for a cleanse to transition onto a new diet or training cycle. Apart from the fasting, our juices are also packed with detoxifying produce which assist your body in eliminating lingering toxins in your system and replacing them with essential nutrients and vitamins. One of the most common things customers tell us is that they feel like a whole new person after finishing a three day cleanse in body and mind and the effects are only more pronounced the longer you cleanse. However, we will happily accommodate any substitutions you would like, whether it be for dietary restrictions or simply personal taste. What are some of the best juices you can have pre and post workout? Pre-work out we suggest our juices that are high in energy. The N1 Green, N2 Red, and N4 Blue Lemonade in particular provide much needed hydration and raw energy. Our 2oz Ginger boost is also used by many as a 100% plant based energy alternative to caffeine or a pre-work out shake. We actually shine even more in post work-out. The N1 Green, and N4 Blue Lemonade are filled with cucumber juice, which is absorbed more efficiently by your body than water, meaning it re-hydrates you faster. The N1 Green and M1 Almond Milk have 8g and 10g of protein respectively, which is a lot for raw, natural, vegan produce. We have tons of success stories! Each Brand Ambassador will have their own which they are most proud of. Mine comes from converting people whom have never considered cold pressed juice to be “their thing”. 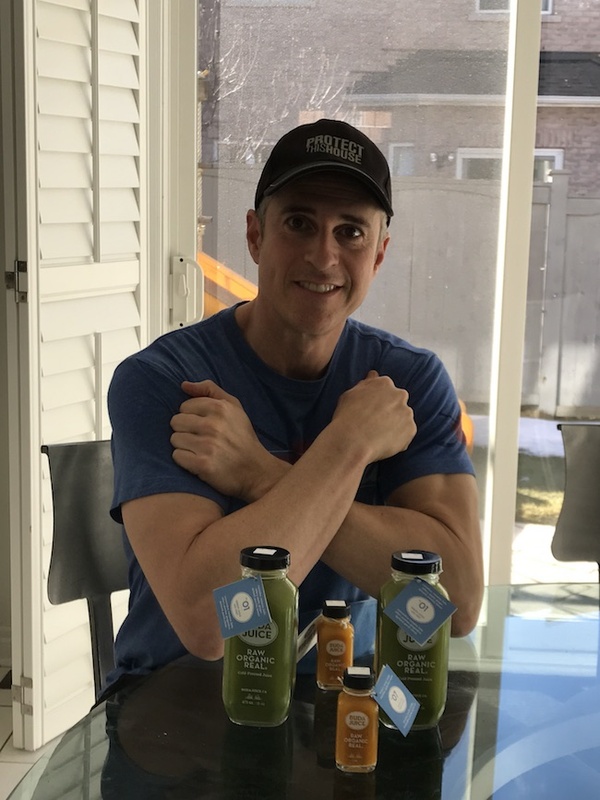 Upon trying a three day cleanse many people who have never been interested in juice or even vegetables in general become regular users as they enjoy they way they feel and become committed to maintaining it. WE LOVE WHAT WE DO. WE DO IT FOR YOU. Fusing together the innovative vision of long-time friends Bernard Lucien Nussbaumer and Horatio Lonsdale-Hands; Buda Juice was born from the need to break free from the daily grind. Restoring essential nutrients to the body, every juice battles nobly against toxins, fatigue and sluggishness. It’s all in a day’s work really. Learn more about Buda Juice here! I see that you do not add sugar but the grams are quite high in most flavors. For example the Zen Grapefruit has 18 grams. That’s an awful lot of sugar. Thanks Loryn – fruit has a lot of natural sugar.